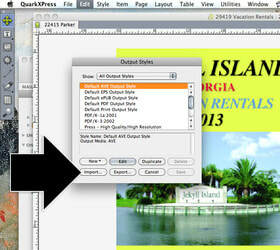 To aid you in preparing your PDFs, we have created a PDF Presets file for QuarkXPress and InDesign. While using these presets is not required, we do encourage you to use them to achieve the best results and the highest quality PDFs. 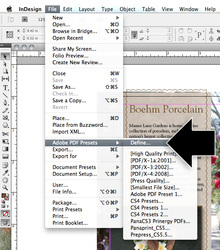 Under the "File", scroll down to Adobe PDF Presets (see Fig 1). On the pop-out menu, select "Define." 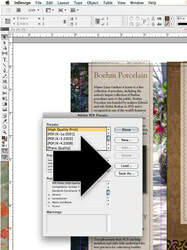 On the next menu that opens, select "Load" (see Fig 2). 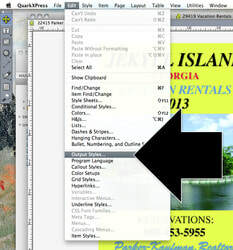 Then navigate to where your presets file is stored on your computer. Then save. 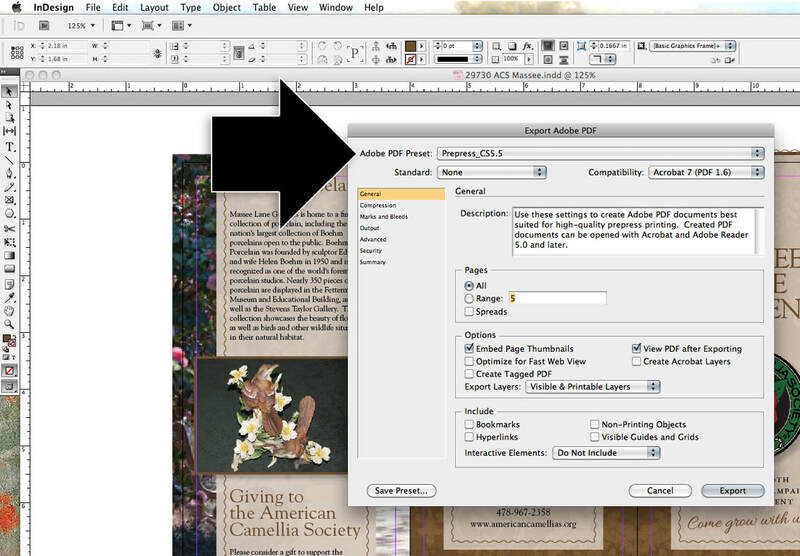 When you export your PDF, the presets file will be accessible in the presets menu (see Fig 3). Select the image below to open a larger image. 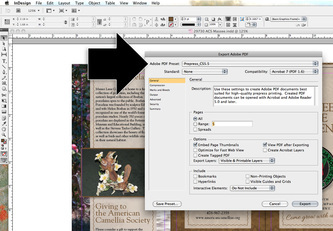 Under the "Edit" menu, scroll down and select "Output Styles" (see Fig 1). 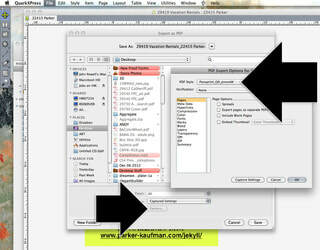 On the pop-out dialog box, select "Import," and then navigate to where the presets file is stored on your computer. Then save. When you export a PDF, under the options menu the presets file will appear on the PDF Styles menu (see Fig 3). Select the image below to open a larger image.